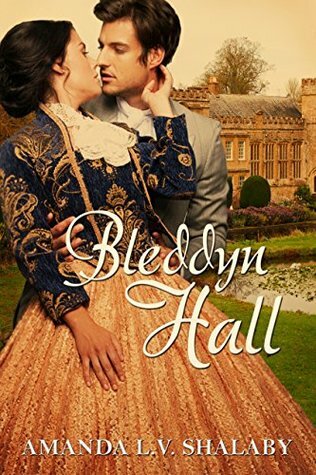 Bleddyn Hall is a fantastic historical fiction that tickles your fancy in all the right places and has a sweet and dramatic romance that will have you swooning! Lady Isabel has found herself affianced to the dashing and handsome Earl of Dancy. However the untimely demise of the Earl's father delays their wedding and keeps the Earl's sisters from partaking in the delights of the season themselves. When the girls invite Isabel to Bleddyn Hall, their Yorkshire home, Tresham is withdrawn and sullen, and not at all the man that had won her heart in London. The ensuing mystery surrounding Bleddyn Hall might have the power to eat Lady Isabel whole...if she doesn't figure out her feelings for Tresham and the secretive world of skeletons in the Family closet doesn't take her down. I was thrilled that this wasn't just another historical romance. While I love a good bodice-ripper, mixing romance with mystery and murder is just so much more enjoyable! Did that sound weird? I love a good plot twist and Bleddyn Hall is far from the expected kind of story of this time period. My absolute favorite part of this was Amanda's writing style. She gives you the sense that you are actually living out a day in the life of the actual historical period. Her character's language never slips into modern tongue, but they are still remarkably understandable. I loved this book and would read anything from Amanda Shalaby that came my way! Isabel had not seen Lord Maxwell Darrow, Selina’s elder brother, and was not the least bit disappointed for it. He was a handsome enough man but had all the unlikeable characteristics of a spoiled, eldest son. “I have not,” she confessed, with as neutral an air as possible. Lord Darrow had indeed paid her particular attention the night before, but Isabel was by no means impressed. He put on a great pompous air and prior to singling her out made considerable effort to flirt with every female in attendance. “I am sure he held no such expectations, but I thank you for the compliment,” Isabel replied. Isabel thought this was perhaps true, as she was in no state of shock when her own brother turned her out of the house. Happily for Isabel, the subject passed, as Selina seamlessly moved to another topic of conversation. “And have they married him off to anyone yet?” Isabel asked, smiling. Isabel did what she could to ignore Selina’s blatant promotion of Lord Darrow by refocusing the conversation on the newest London arrival. “Does this magnificent creature have a name?” Isabel asked. “Well, not in their brother’s eyes, I would hope,” Isabel teased. “To be sure!” Selina said, leaning forward so far Isabel feared her bosom would escape her bodice. 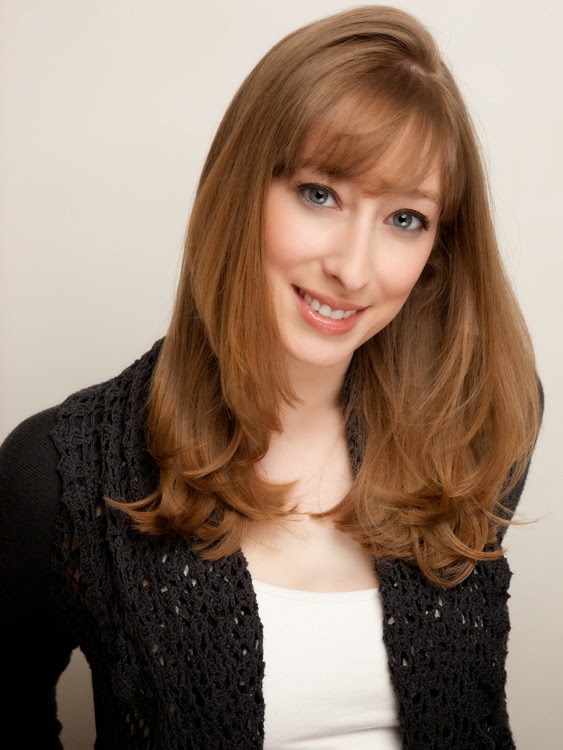 Amanda L. V.Shalaby’s passion for all things Jane Austen was inspired by her mother and grandmother. She now writes her own historical romantic mysteries. Amanda’s previously published works, Rhianna and Audra, both were nominated for the prestigious InD’Tale Magazine RONE Award. Bleddyn Hall is her most recent novel. Amanda will be awarding a free ebook of Bleddyn Hall to a randomly drawn winner via rafflecopter during the tour. Hello Mai, thanks for stopping by! I used to write longhand back in the day (I wrote my first book when I was 14 and it was written entirely in pencil!). These days I generally write on my laptop. I do tend to keep small notebooks with me, in the event an idea or a name come to me while I'm out and about. Are you a writer? Thank you for hosting me today, Andra! I'm so glad you enjoyed Bleddyn Hall. Your lovely review made my day! What a great review and excerpt. Thank you, MomJane! So nice for you to spend some time with us today. Happy reading! Thank you, bn100! Of all my books, it is my personal favorite :-) Nice to have you stop in! Andra, it's been a pleasure spending the day with you. Thank you again for being such a wonderful host! A beautiful cover & interesting synopsis.